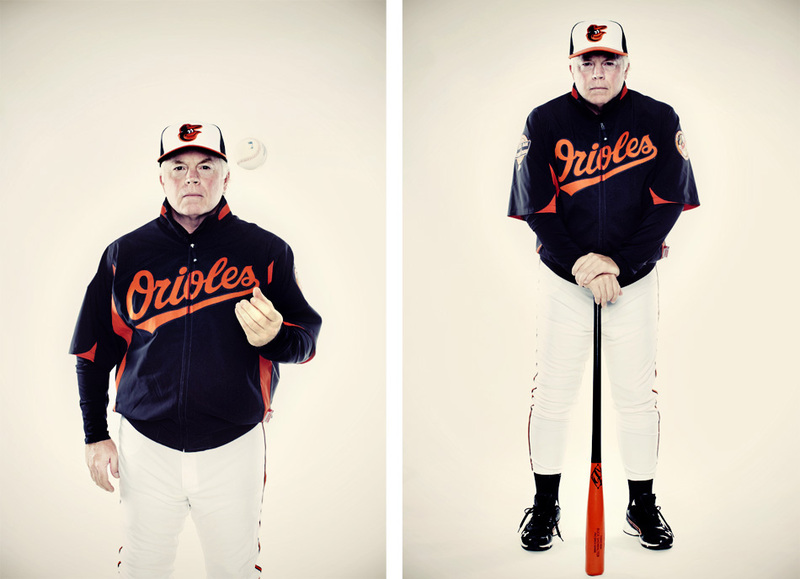 I called my brother up the other week and told him I had a last-minute shoot with Buck Showalter. My brother has an encyclopedic knowledge of baseball and is an Orioles fan, so I was hoping he could give me a little background on their team manager. 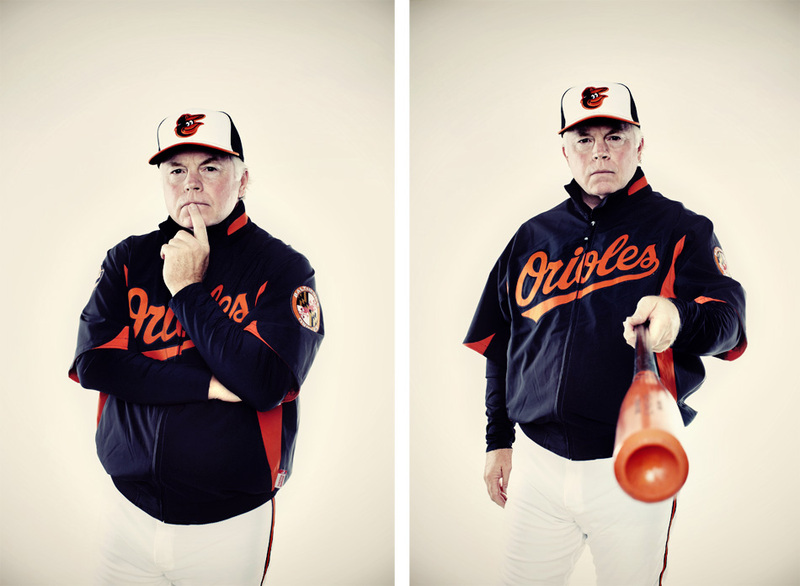 I did my research and planned as best I could for the shoot, but damned if Mr. Showalter didn’t defy expectations. Oftentimes, this works against a photographer who meticulously plans things. The best laid plans of mice and men and all… This time, it worked in my favor because Buck was awesome and gave me more attitude in 10 minutes than many of my subjects do in 2 hours. Big thanks to everyone involved for making this shoot go so well. I couldn’t have done it alone. 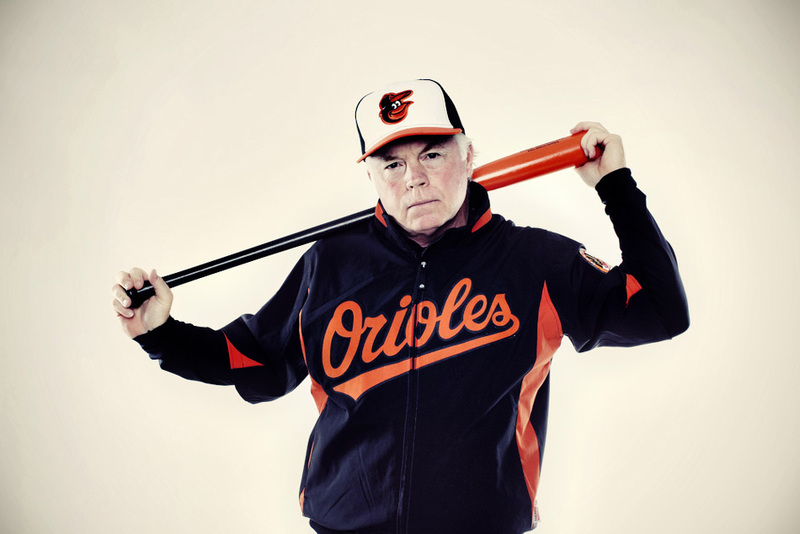 When the shoot was done, Buck tossed me a baseball and casually walked off. It’s now sitting on my desk as a memento from the shoot and it’s my new favorite office toy. Posted on 04/20/2012 10/02/2012 by Melissa Golden. 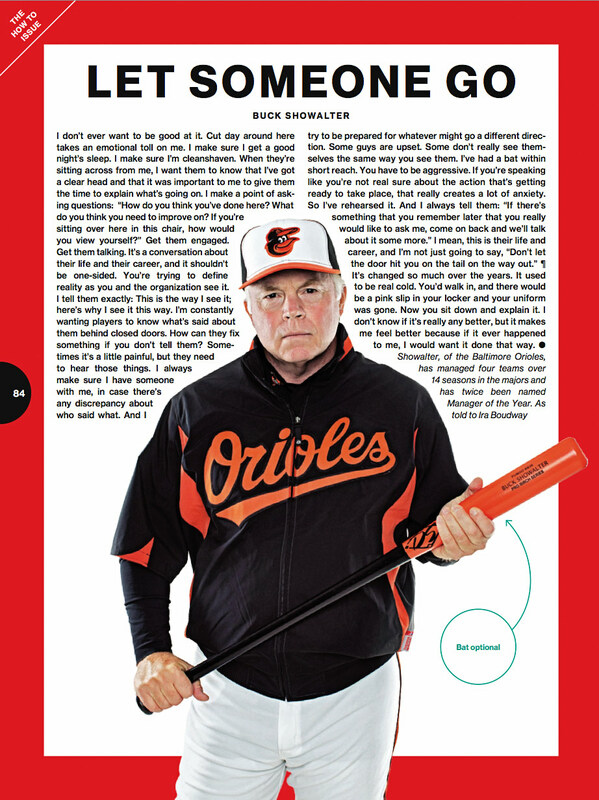 This entry was posted in Bloomberg Businessweek, On Assignment, Portrait and tagged Baltimore, baseball, bat, Buck Showalter, businessweek, Maryland, On Assignment, Orioles, Portrait. Bookmark the permalink.